Why Do I Support FLOC? For many years before I had children, I spent a lot of my free time volunteering for various organization, including leading the Corporate Social Responsibility Committee at my firm. Despite the fact that I knew my time was well spent and that each of the organizations were making a positive impact, I still felt I had yet to find the right cause for me. That was until I was introduced to FLOC and things changed for me. When I was introduced to the team at FLOC and began to learn about their programs, we had just welcomed our second child to our family. With two children who I knew where going to be fortunate enough to have access to a fantastic education, I knew I wanted to focus my time and attention with children who did not have this same access nor the same opportunity. It just was not fair to me that something so critical was not universally available – why should my children have access and not others? After over six years of being on the board, I continue to witness the powerful impact that FLOC’s team and programming have on the lives of the children and families that it serves. The proof is in the graduation rates of the kids that we serve – without a doubt, the programs work. We are tremendously proud that we currently have 300 students enrolled in programming, but we can and need to do more. 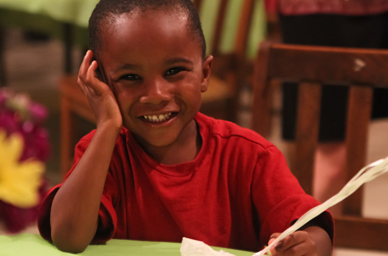 Our goal is to serve 700 children by 2020, as there is such a strong demand for FLOC’s programs. We need your help. We ask that you reach out to the team at FLOC or any member of the board to learn more on how your time, attention and resources can make a difference in the lives of the children that are currently and will be served by FLOC.